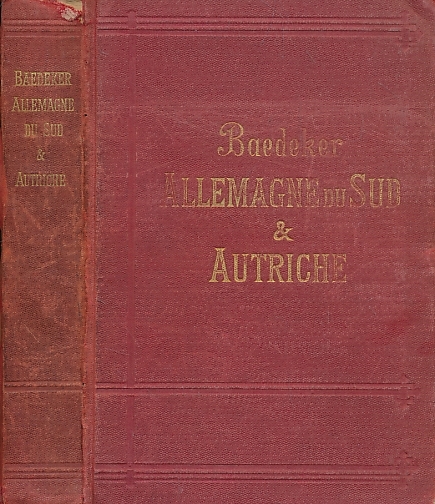 Barter Books : Baedeker, Karl : Allemagne du Sud & Autriche. Manuel du Voyageur. 9th edition. 1888. 160 x 110 mm (6 x 4 inches) - xv, 335pp + maps. Worn condition. Cover heavily rubbed. Page edges browning.